Nearly 20% of Americans will suffer from Spring allergies. 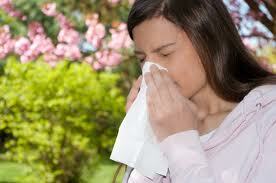 Dr. David Lang, an allergist at Cleveland Clinic brings us a “cool” tip. He says one of the easiest things you can do this time of year to ease allergies is turn up the AC. Dr. Lang recommends seeing an allergist if symptoms don’t respond to natural or over the counter remedies, and interfere with daily functioning. Right now, tree and grass pollen are at their peak. Children and pets can be affected too. People who suffer from grass allergies may suffer from watering eyes, sneezing and congestion, post-nasal drip, sore throats and dry, constant coughing. A grass allergy can cause a full range of breathing problems, from wheezing to triggering a full-blown asthma attack. Allergic conjunctivitis can also occur, which is an inflammation of the membrane that lines the inside of the eyelids. This causes red-rimmed, swollen eyes and sometimes even a crusting of the eyelids. Allergic shiners–which are dark circles under the eyes that are caused by increased blood flow in irritated sinuses–may also occur with a grass allergy. Irritated skin, including redness, itching, rashes, bumps and hives can all occur due to a grass allergy. These reactions can occur anywhere on the body, but often show up on the hands and fingers. Some doctors call this reaction “hayfever of the skin.” Treatment with antihistamines is usually the best way to handle this symptom. Reactions can be severe (even anaphylactic) if the allergen comes into direct contact with open skin, such as when a soccer player falls and scrapes her leg on the grassy field. As with other seasonal allergies, many people who suffer from grass allergies also complain of extreme fatigue, and feeling mentally dull or “out of it.” These people complain of feeling spacey, unable to concentrate and foggy much of the time. 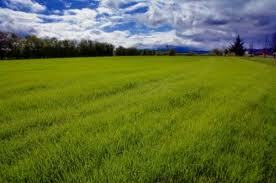 Headaches, mood swings and even nausea can result from a grass allergy. There are many ways to prevent reactions and naturally provide relief once symptoms occur. Daily nasal cleansing with either a neti pot or nasal squirt bottle can be an effective way to irrigate the sinuses and flush allergens from the nasal passages. Another preventative measure is to always wear a mask when you mow the grass, and keep grass cut short. Use air conditioners indoors and in cars whenever possible. Instead of drying clothes on the line, where they can pick up allergens, dry clothes in a dryer during grass pollen season. Shower each night before bed to wash off pollen. For a sore throat due to post nasal drip or coughing, try gargling with warm salt water. There are many different kinds of over-the-counter and prescription medications available for sufferers of grass allergies. Eye drops, nasal sprays, decongestants and antihistamines are the most popular. There are also various prescription medications available that work with the body in different ways to hinder the release of histamines. According to Medicine Online, immunotherapy allergy shots help many patients.